Keep your feet hip width apart or a little closer. Form a straight line with your head shoulders and back from your head to your knees. 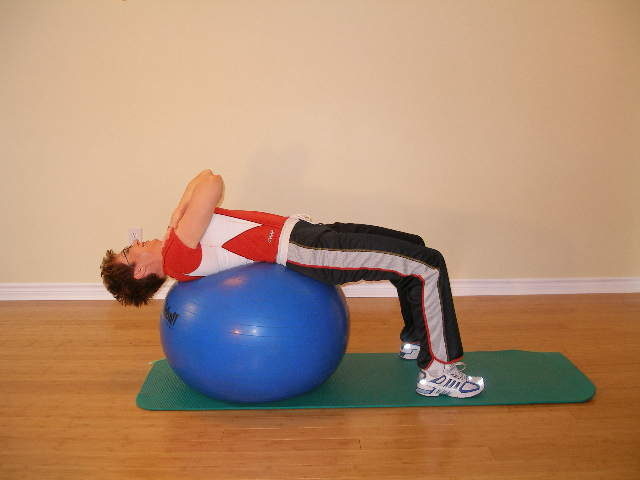 Contract your abdominal muscles and pull your right shoulder up and toward your left knee. Your lower back should never leave the exercise ball. Visualize your right rib cage as moving toward your left hip. Hold briefly and return to the start position.